I'm happy to announce Grass Generator version 1.5. Rather than trying to implement all of the suggested features at once, I decided I'll be adding them in smaller releases. So what's new in version 1.5? I've added a new method for creating grass patches. 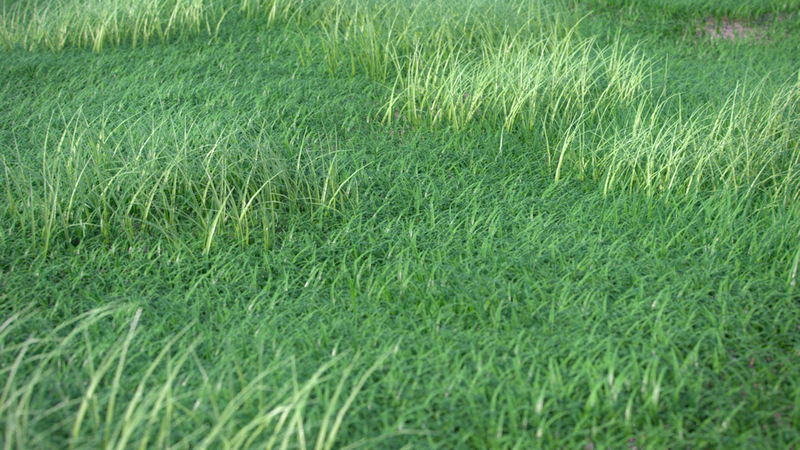 You can now use a mesh in your scene as a base to scatter your grass blades on. See the video below to get an idea of what you can do with it. The video is an overview of what the Grass Generator can do, so for new users it's quite useful too. Two smaller features that were tweaked are the "Grass Blade Segments" and width and height spinners. You can now specify the amount of segments in your grass blades, but it still defaults to an automatic calculation for easier setup. As I said, the updates will be incremental as there's a lot of stuff I still want ta add to the script. It's a passion project though, so it all depends on how much free time I have to work on it. But it will remain free throughout it's evolution. PFlow2Proxy is a small companion script which allows you to use Particle Flow as a scattering solution. It's a really basic version, but it does the job. Again, based on suggestions I'd be happy to try and add more functionality. There's also a video for it that explains the process. If you'd like a free more potent alternative, check out the Advanced Painter script on Scriptspot. Download both scripts from GitHub. Alejandro Valverde has made a great tutorial showcasing all the Grass Generator features in spanish. He's using Vray to create the final image, so it's more than just an overview of the settings. Big thanks to him for taking the time to do this! Be sure to check out his YouTube channel as well. I'll be making a english overview myself once a new release is ready, at this point I don't feel the need to do one just yet. After releasing version 1.0 of my Grass Generator script, a lot of people responded really positively, of which some had some great ideas regarding what could be added in the future. So for now, I'm releasing version 1.1, which has a lot of improvements code-wise, thanks to user barigazy on Scriptspot, who took a look at it as well and suggested some improvements. What are the plans for developing this script further, then? I've been reading the feedback both here and on Scriptspot and there's a few features I'll be looking to implement in the future, though some might take (a lot) more time than others, seeing that the work is being done in my free time. A few examples of suggested features are the following. These are just a few of the many suggestions that were brought up. I'll also look into creating a video tutorial on how to use the script, again when I find the time to do so. I also wanted to thank everyone for the kind words and the suggestions, it's been really nice hearing from all of you! I'm always open to suggestions and would love to see some of the work created with the script. Doing archviz work, you're bound to run in a situation where you're going to need some natural / organic elements to fill up your scene. Of course, there's a quite a few plant libraries available to buy, but sometimes it's nice to have techniques to make your own stuff. Not only is it cheaper, but it grants you more control over the final look of your renders. Rather than modeling each individual blade, I found a way to get similar results using just modifiers. This, in turn, allowed for the process to be automated into a script. And so the Grass Generator was born. Scattering individual grass blades however, isn't very optimal in scenes where large areas need to be covered in grass. So after the blade creation algorithm was finished, it was time to add functionality to create patches of grass ready to be scattered with plugins such as Multiscatter or Forest Pack. At first glance, there's two sets of controls present in the interface. Grass Blade Settings and Grass Patch Scatter Settings. With the parameters in the Grass Blade Settings you can control the look of the grass blades themselves. Amount of Unique Blades controls how many different blades will be generated, the more of these are present in your grass patch, the more randomness you'll have. Length, Width and Bend will control the look of the individual blades. Random values between the set minimum and maximum will be used. The Lock button allows use to use a set value (min) instead of a random one. Cut Grass allows you to simulate a mowed lawn type of look. UV's are also automatically cut off at the specified length. Note that the cut length can never be longer than the blade length. These parameters will control how the individual blades are scattered to create a grass patch. The checkbox on the right turns scattering on and off, allowing you to keep the individual created grass blades if you so desire. Grass Patch Scatter Radius does exactly what it sounds like. This setting will control how large your patch of grass will be. Grass Patch Scatter Density gives three options for how many blades are created per patch. This amount scales automatically depending on how big the patch is and how dense you want it to be. Blade Random Rotation controls the rotation of the blades in the patch starting from their base. Blade Random Scale adds a random scale percentage to the individual blades, again starting from the base of each blade. - Run the script in Max. - Look for the category "DAZE" in the "Customize user interface" section. - Add the "GrassGen" command to a toolbar / quadmenu. - Click it and have fun! Grass Generator v1.0 has been tested in 3ds Max 2013 and 2014, but should work in a few earlier versions too. So with the basics explained let's see some renders created using Grass Generator. 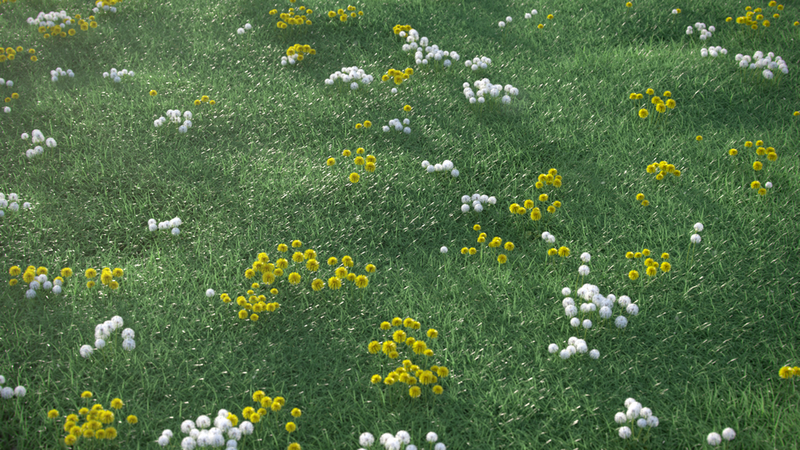 For the middle image flowers from the awesome HQ Grass 1 pack from 3DMentor were added. If you've come this far, congratulations! In the next section I'll explain how the grass is generated. This is the technique I mentioned earlier. First you'll create a plane with 1 width segment and a few (in this case 5) length segments. Using this method ensures you have correct UV's for use with a basic grass texture (such as the one linked in Part 2 of Peter Guthrie's tutorial), without having to set them manually. (Make sure "Generate mapping Coordinates" is enabled in the plane's options.) After centering it in the scene, you'll then turn it 90 degrees on the X axis. In this step you'll add the first two modifiers to start giving our grass the right shape. The first one is a Taper, with the amount set to a negative value (-0.8 in my case). Make sure to set it' primary axis to the Y-axis, otherwise the plane won't deform at all. Next, add a bend modifier to simulate gravity making the grass blade hang down a little. For this to give you the correct result, you'll have to change the Bend Direction to -90 and the Bend Axis to Y. Setting the Bend Direction to -90 is important as the front facing polygons will be aligned correctly. Bend Angle is, of course, set to your preference. Your plane should now look like the screenshot. As the name of the step suggests, next you're going to add a "Meshsmooth" modifier. Not a Turbosmooth! Meshsmooth has a Subdivision Method called "Quad Output". When this is used on the geometry you created it will add a "dip" in the middle of the mesh, which brings you closer to the shape of a grass blade. If you turn off the "Isoline Display" option in the "Local Control" rollout, you'll be able to see the effect more clearly. 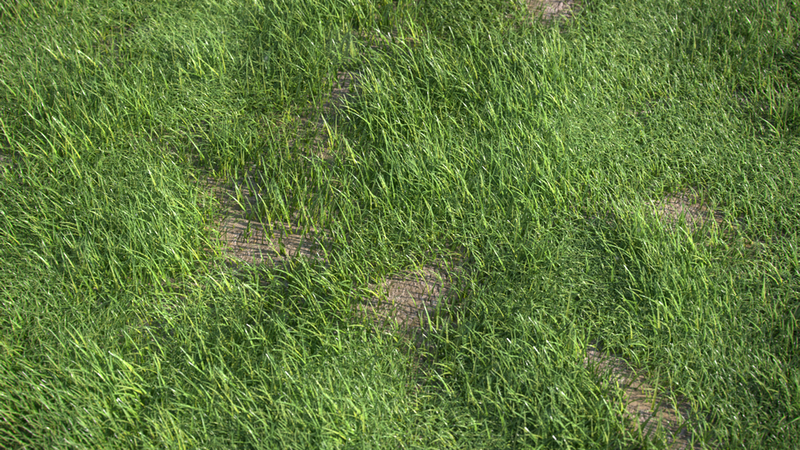 This little dip really adds to the detail of the grass reflection. BONUS 1: You can add a "Relax" modifier to accentuate the dip even further. In the script the Relax Value is set to 1.0 and the iterations to 1. Make sure you leave "Save Outer Corners" checked or your mesh will start to deform, losing the blade's shape. BONUS 2: Add a Turbosmooth modifier to smooth out the final shape. Now, you might ask yourself what the advantages of this method are, rather than just modeling it yourself. In my opinion, flexibility. Doing things this way allows you to quickly generate different variations, without having to model each one individually. It also allowed me to automate the process into a script, making the process even faster. If you've read this far, thanks, that's it for now. I hope you enjoy using the script and I look forward to seeing your results. If you'd ever like to suggest features or would like to work with me on improving the script, be sure to click on the version number for my details.